New Modern Muscle design and metalwood construction create a breakthrough balance of power and stability. Today Nike Golf revealed its new Vapor Speed irons, part of the Vapor iron family, at an event in New York City. Created at The Oven with Nike Golf athlete insights driving the development of the long irons, Nike Golf club engineers crafted the Vapor Speed irons to deliver exactly what the name entails: pure power. Like the Vapor Pro and Vapor Pro Combo irons, Nike Golf’s Vapor Speed irons feature innovative Modern Muscle design. Modern Muscle is defined by balanced weighting for perfected precision and power. The Vapor Speed irons design moves the center of gravity lower, deeper, and more towards the center of the face for faster ball speed and long, consistent distance. Ultra-thin NexCOR club faces and lighter, half-inch longer shafts, further amplify ball speed for incredible distance. The Vapor Speed long irons (2-7) are built with a hollow, metalwood-inspired construction that features Nike’s new FlyBeam technology. 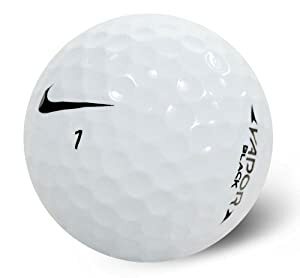 For the first time, Nike Golf club engineers incorporated proprietary lightweight RZN material – a modified version of the material found in the high energy core of Nike Golf’s line of RZN golf balls – in the cavity of the Vapor Speed short irons, 8 through sand wedge. This delivers Tour-inspired feel and sound with added stability. Progressive face heights, and larger blade profiles merge with a sleek, satin chrome finish for a clean, traditional look at address. The Vapor Speed irons will be available on Nike.com and at select retailers October 31, 2014. POLL: Which Nike Golf Vapor Iron Will You Buy? On August 18th Nike Golf announced their new Vapor iron franchise at a special event at Liberty National Golf Club in New Jersey. NGN’s Alan Numsuwan was there live tweeting the event, and he was one of the first to announce on Twitter that the franchise will include three models: Vapor Pro, Vapor Pro Combo and Vapor Speed. Which Vapor Iron Will You Buy? Hey all, NGN Alan here, just wanted to put together a few notes for our readers as there has been a tremendous buzz around the launch of the Vapor irons last night. I know that Golfwrx’s forum had over 1100 people on the Nike Golf Event post at one point last night, and our Twitter feed was blowing up, so there is definitely a lot of interest from the true golf heads out there. This recap is an accumulation of my experience as a whole and not meant to be focused on the technical aspects of the clubs, which are being discussed at today’s event (which I was not able to attend). There will be much more information released on that for the gearheads so stay tuned. Please keep the questions coming and tweet me at @AN_Golf or @NGNation. Before we get to golf, I must say that Nike put on a tremendous launch event at Liberty National Golf Club. This was my first time driving up to the clubhouse and it was a cool site. You take this long bridge up to the clubhouse circle where Nike had valet staff in black and, you guessed it, volt sneakers, taking your car. And as this was only the beginning, I knew that the marketing folks at Nike would have considered every aspect of tonight’s event from a branding perspective. Since I only live a few minutes away from LNGC, I got there a little early and was maybe one of the first 5 people to arrive. Fortunately they had a well stocked top shelf bar and delectable raw bar with giant shrimp cocktail and fresh oysters. Big thanks to Nike for that! As I waited for media to arrive from Manhattan via Ferry from Chelsea Piers, a helicopter soared above landing in the distance by the erected stage near the end of the driving range. I can only assume it was Tiger, Rory, Jimmy Fallon and Cindy Davis. Finally, a lot of people started to arrive, including media from Japan, UK, Korea and domestic outlets. I saw industry media folks like David Dusek from Golfweek, Jason Sobel and Darren Rovell from ESPN, Rachel Nichols from CNN, and a bunch of folks from golf blogs like Mygolfspy.com. I also got the chance to connect with Rob, Nik, and Greg from Golfwrx.com and tell them how much of a fan I was of their site. Greg even gave me a Golfwrx chip! After leaving the reception area, were were diverted to black vans and transported from the first tee to the end of the driving range where a large stage was erected. Photographers went first to set up and then the rest of the media shuttled over. I took a seat in the second row right behind AJ from Extra and Willie Geist from The Today Show – my wife was pretty impressed by that! Cindy Davis came out and opened with some remarks about Nike’s commitment to the elite athlete through innovation and always striving for better. She truly feels that this is their best iron yet. With that, she introduced Tiger, Rory and Jimmy Fallon. TW and Rory had just come from taping a segment on Fallon’s Tonight show and Jimmy was acting as the event’s moderator. The stage was set in front of the Jersey City and Manhattan skyline and it was truly a beautiful night. The trio had a bit of banter and TW and Rory were wearing a new Vapor mesh golf hat. Sort of in the spirit of a surfer’s cap, but I definitely dug it. Jimmy and Tiger were also in black Lunar Claytons while Rory choose the all black Lunar Waverly. TW wore all black and Rory had on grey Modern Tech Pants and a volt polo. Finally they announced the new lineup of irons, called Vapor, and there would be three models: Vapor Pro, Vapor Pro Combo, and Vapor Speed. Taking none of the technology into account, if you were to make comparisons to the existing lineup, the Vapor Pro would replace the VR Pro Blade, the Vapor Pro Combo would replace the VR Forged Pro Combo, and the Vapor Speed is all new but I suppose would replace the Covert 2.0 irons. All irons take the shape of the MM Proto to a degree, but they have black back with a volt swoosh. The Vapor Pros are true blades with a muscle cavity while the pro combos have a pocket cavity that has a “RZN” polymer fill in to mute the sound and generate a high launch. The 8-AW in the pro combos have a muscle cavity. The Speed irons have a hollow-cavity in 3-7-iron, so you can imagine it launches like a wood would do. After the announcement, Rory and Jimmy took alternating shots hitting to a neon lit swoosh out in the distance. Jimmy, safe to say, needs a little work on his swing but managed to get a couple out there. Rory on the other hand hit 9-iron and just absolutely drilled it into the sky. He then took 5-iron and smashed a couple out around 220. Here’s a pic of Rory at impact. As the interview and brief hitting expo concluded, Cindy Davis came out and mentioned that we could all take turns at hitting the new irons. Set up next to the stage was a grass range with pyramids of neon colored RZN Black balls (which I was told they are bringing to retail). And since they thought of everything, they had Nike Tech Flow gloves waiting for us to use in all sizes. While it was difficult to hit in the dark, with loud music blaring and dozens of people watching you, it was great fun and once the nerves settled, I was able to really get a good feel for the clubs. I absolutely love the new Vapor Pro Combos. They launch higher and have a solid feel and are really forgiving. Here is the Vapor Pro Combo, and its tough to see in the dark, but its an absolutely stunner. What would my post be without the details. I was too busy hitting balls and fawning over the clubs to really take time for dinner, but the chefs at Liberty National had an amazing spread of root beer braised short rib, giant scallops, shrimp and fish, along with a blue potato mash. After hitting balls and really just relishing what kind of experience I just had, I was shuttled over back to the first tee, where I stood in the dark for a second and just admired this property and how fortunate I was to be there. Finally, after some pleasantries with some of the Nike staff, I headed home full of elation, excitement, and a phone full of messages. Q: Why didn’t they just stick with MM Proto, why choose “Vapor”? A: Nike is about synergy and the Vapor has represented the top of the line gear in other sports. For example, they cited Vapor Lacrosse Gloves, and the Vapor Mercurial Soccer Cleat. Do a search for Nike Vapor and you’ll see all sorts of high-end products. Well that was the thinking behind Vapor and the golf division too. Nike Golf is getting bigger and more integrated with the firm as a whole. This rebranding falls in line with other core sport divisions. Q: What did MM stand for anyway? A: A ton of people asked me this – its for Modern Muscle. Q: Will TW and Rory play these irons? Q: Why the stronger lofts? A: This was surprising to me as well. The Vapor Pro lofts are the same I believe, but the PCs are 1 degree stronger and the Speeds are I believe 3 degrees stronger. Vapor Speed PW was 44 degrees! For the PCs, they told me that while the loft is a degree stronger, the ball will actually fly higher due to the newer, face-centered center of gravity. In fact they said weighting gets the ball higher, not just loft. For the Speed irons, well, they’re a distance iron so they’re longer and stronger. Q: Are all models forged? A: No only the Vapor Pro and Vapor Pro Combo are forged. Q: Can I remove the black and change the paintfill? A: I got this question a lot and I really think everyone should check it out in person first. The irons are beautiful as they are and I can assure you that any coloring will not affect your game. That said, the Black part is not paint and I really dont think tampering it would do anything positive. Q: What shafts come with it? A: Last night, the irons were equipped with True Temper DG Pro S300 shafts and Golf Pride tour velvet grips. The Vapor Speed used a True Temper Dynalite 105 shaft with a Golf Pride Tour Wrap grip in black. Q: Are those RZN Balls coming out in yellow? A: From what I was told, they are. Q: How is Jimmy Fallon’s swing? A: I’m not one to judge, but there was a big difference between him and Rory! Q: What about Vapor woods? A: The event was about irons only, but based on some conversations I had, we can expect a Vapor line of woods, plus TW already had Vapor head covers in his bag. Q: What about Rory’s putter? A: This seems to be a big want among a small constituency. There was no talk about putters but I’m sure anything is possible.